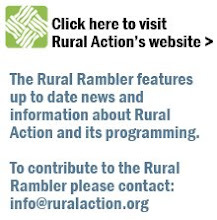 The Rural Rambler: Open Mic Night Comes to the Athens Town Hall - Tonight! Open Mic Night Comes to the Athens Town Hall - Tonight! Tonight is anything but your typical Tuesday night karaoke as the Athens Town Hall invites all community members to come out and take the stage for an open mic session from 6:30-8:30pm at the Athens Community Center. At the January 26th, 2010 Town Hall Meeting community members will be invited to speak on any subject of local interest. The Mayor and selected members of the city administration will be present to ask clarifying questions and briefly respond if necessary. Topics brought up at the January meeting will be reviewed by city officials. The steps taken to address issues discussed at the January meeting will be presented at the June Town Hall Meeting. Due to the need to have diverse and numerous viewpoints represented, speakers will be limited to two minutes each to discuss their topics of interest. The January Town Hall Meeting is an opportunity for community members and organizations to dialogue with each other and with the city government. It is also an opportunity to find common ground for solving problems affecting our community. Athens area community members are strongly encouraged to attend and speak on local issues that concern them. If weather forces the Town Hall Meeting to be postponed, the meeting will be held on February 4th. Come on out and exercise your civic voice, let yourself be heard!